The World Cup has started, Wimbledon is on the horizon and the sun is shining. Whether you will be spending your weekend swapping your attention between the flat screen and the bar at your local, or if you’re soaking up some sun with friends in the garden, it all means pretty much the same thing: It’s Pimm’s o’clock again. Now before you start glugging the stuff like it’s going out of fashion (which it won’t, don’t worry), it might be time to start thinking about other ways of keeping Pimm’s as your staple fuel. The great thing about Pimm’s is that it’s fruity flavour means that it goes well with much more than lemonade and a few leaves of mint, and tradition has stood strong on that one, but here at Bring a Bottle we think it’s time to break it. With Gin being in such hot pursuit at the moment, we suggest ‘The Pimmlet’. A nice dry gimlet is a great summer drink (fresh lime juice, gin and sugar). Cucumber and mint are natural partners to the slightly bitter flavour of a gimlet, and when gin and cucumber go together it’s usually in a Hendrick’s G&T. 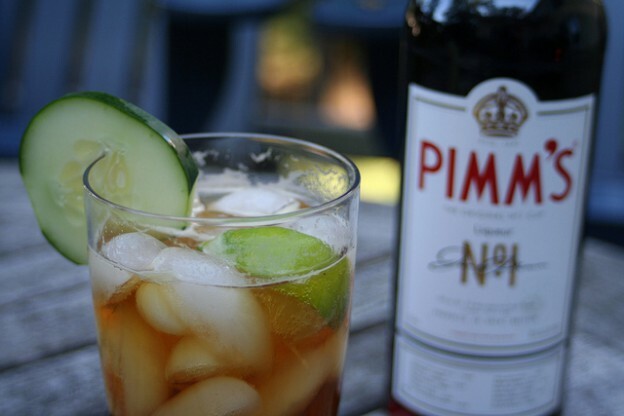 So, natural curiosity and summer thirst makes us think, why not try it with Pimms instead? Put the mint leaves, cucumber and sugar in the bottom of a cocktail shaker. Give it a good old muddle with a muddler until the sugar has completely dissolved, which shouldn’t take more than a minute. Fill the shaker with as much cracked ice as you can (enough to keep it cold, but not too much that it waters it down), then add the Hendrick’s Gin, the Pimm’s and the fresh lime juice. Stir for a minute, then when it is ready strain into a chilled martini glass (or coupe, if you think martini glasses are for girls). If you want to go the full whack and impress guests then garnish with additional cucumber and mint. If you want to try this at home, then make sure to check out our price comparisons on both Hendrick’s and Pimm’s to make sure that you get the best deal on the web.